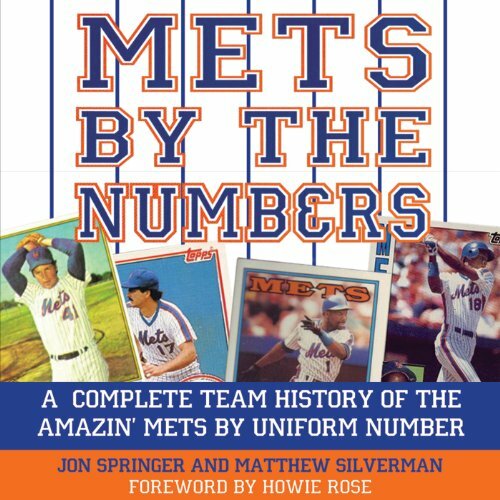 Showing results by author "Jon Springer"
This is the first team history of the New York Mets - or any other team - to be told through a lighthearted analysis of uniform numbers. Ordinary club histories proceed year by year to give the big picture. Mets by the Numbers uses jersey numbers to tell the little stories - the ones the fans love - of the team and its players. This is a catalog of the more than 700 Mets who have played since 1962, but it is far from just a list of No. 18s and 41s. Mets by the Numbers celebrates the team's greatest players, critiques numbers that have failed to attract talent, and singles out particularly productive numbers.